Our Online Course Options provide additional/alternative learning opportunities for students within the district whose educational needs may be better met, in part, outside the traditional school setting. For more information about online college credit in Medical Terminology and/or Human Diseases for Health Professionals (prerequisite = Medical Terminology) see your School Counselor. Online Course Options allow students to take full-credit courses over the internet, offering flexibility and access to a wide variety of courses. Online courses offer the same curriculum as traditional courses, but in a different format. Students access their assignments online, communicating regularly with the teacher, generally via e-mail. Students are able to work on their assignments at any time that is convenient for them. Students desiring to take courses not offered at PHS, including AP courses and languages other than Spanish and German. Students looking to get a jump start on college, for example taking a medical terminology course that carries both PHS and college credits. 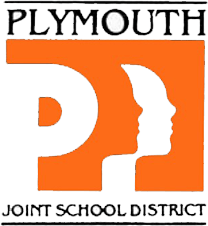 Students who can’t take a course offered at PHS due to scheduling conflicts. Students who have medical issues that make it difficult for them to attend traditional classes. Students needing a few credits in order to graduate early. A particularly advanced middle-school student, who can take more challenging online classes during regular class time. Whatever their situation, successful online students are self-motivated and self-reliant, as well as proficient readers and effective writers.